Super preferred 1st floor, bijoux one bedroom flat located within this quiet well maintained development in Thornwood/Broomhill area. 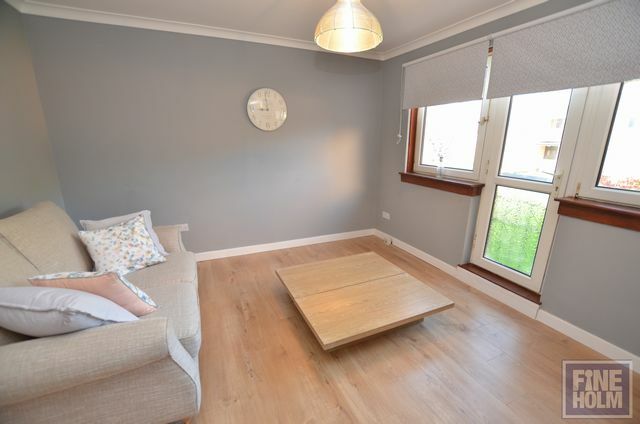 This apartment is ideal for a professional single person - it comprises of entrance hallway with large storage cupboard, modern kitchen with all appliances provided, shower room and bright living room with parisian style balcony door, and bedroom off living room which is small but does have fitted wardrobe space. GCH. Double glazing. Secure entry. Street Parking. Thornwood is a residential area within Glasgow's Westend within 10 minute walk to Partick train/underground station. Bars, restaurants and shops are nearby on Dumbarton Rd, with M8/ Clyde Tunnel access for commuters within 2 minute drive.